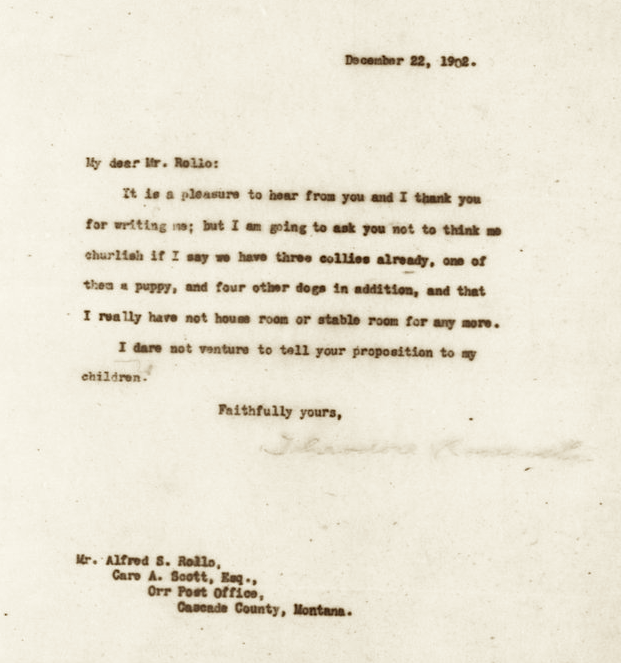 President Theodore Roosevelt and the Saint Bernard he once tried to return, Rollo. 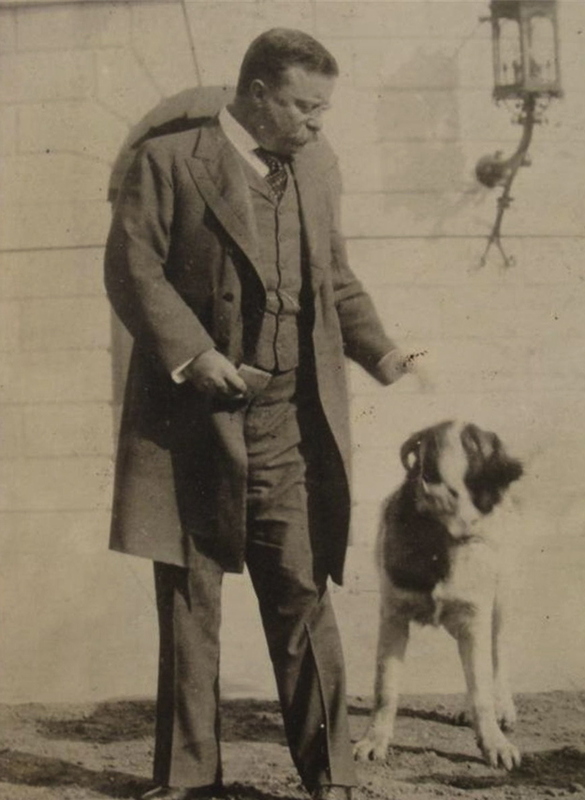 The Teddy Roosevelt family kept the White House hopping from 1901 to 1909 with many animals, including dogs, cats, ponies, snakes, birds, rabbits, guinea pigs — and friendly Rollo, the St. Bernard. The big brown-and-white bear of a dog was a gift to the family of eight from a family friend and the dog’s namesake, Alfred S. Rollo. I’m going to ask you not to think me churlish if I say we have three collies already, one of them a puppy, and four other dogs in addition, and that I really do not [have] house room or stable room for any more. I dare not venture to tell your proposition to my children. As happens to many parents, TR lost this battle. Rollo — all 200 or so pounds of him — did indeed arrive at the White House. In fact, the friendly St. Bernard enjoyed bounding after the children on the White House lawn, sometimes accompanied by the president, as shown in the photo above. The Associated Press once described Rollo as Roosevelt’s “most interesting pet” — and that’s saying a lot, considering just how much of a zoo the White House was during his administration. Rollo loved kids, but he was said to be happiest when the president lavished attention on him. Thank you, Nicola. So glad you liked it.